We can all agree nail art has taken off the last few years. Instead of going to a nail salon, many have found easy solutions to this trend with nail wraps (I myself am a fan of Espionage Cosmetics). However, what about when you want just a little something, a tiny thing if you will. 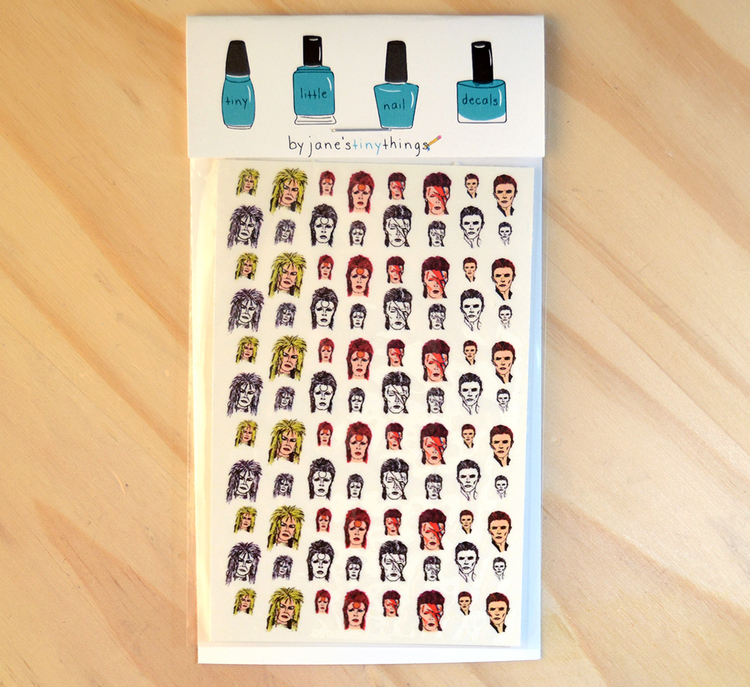 Look no further than jane's tiny things nail decals. A friend last fall gifted me a very special set, the You Remind Me of the Babe, featuring many versions of David Bowie. I have been hoarding this set, but have decided to finally break it out. Having a little Bowie here and there never hurts when I need that special magic power to help me get through my week. 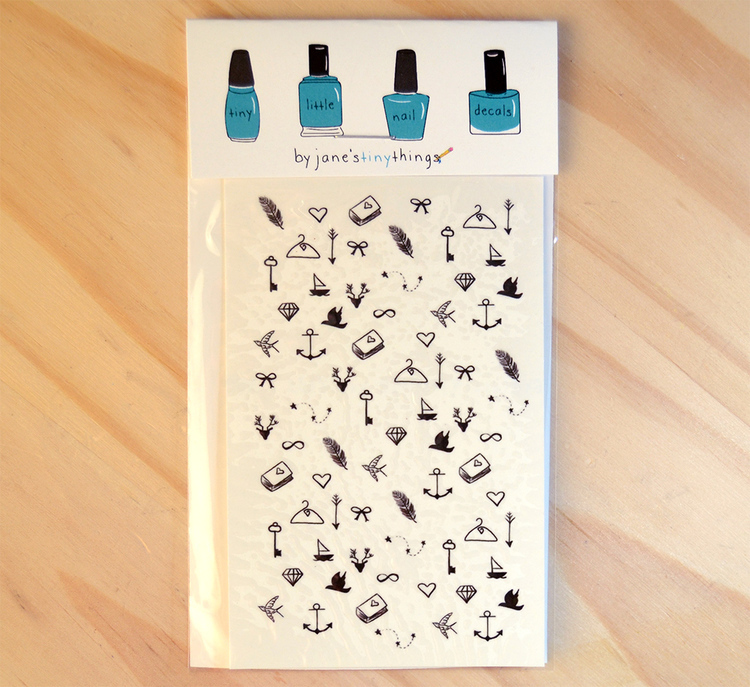 I've included some of my favorite decal sets below so no matter if you geek out about pie or The Golden Girls, jane's tiny things might have the perfect match for you. Enjoy the curated selection, but definitely check out creations on the jane's tiny things website and/or Etsy shop.